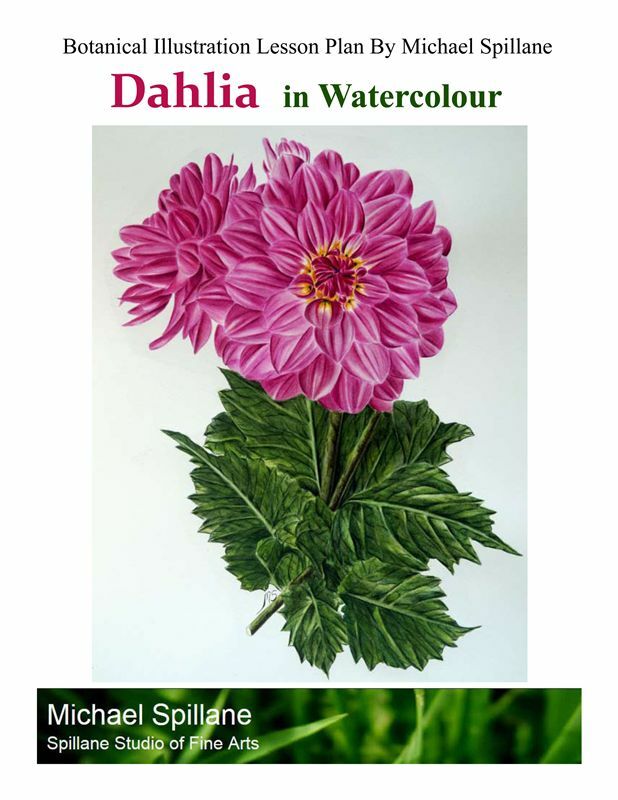 Create a realistic watercolur painting of this wonderful pink Dahlia. The painting is 15 inches by 10 inches. The project includes 15 detailed instructional pages, line drawing and materials list, and covers a range of techniques pertaining to botanical painting.